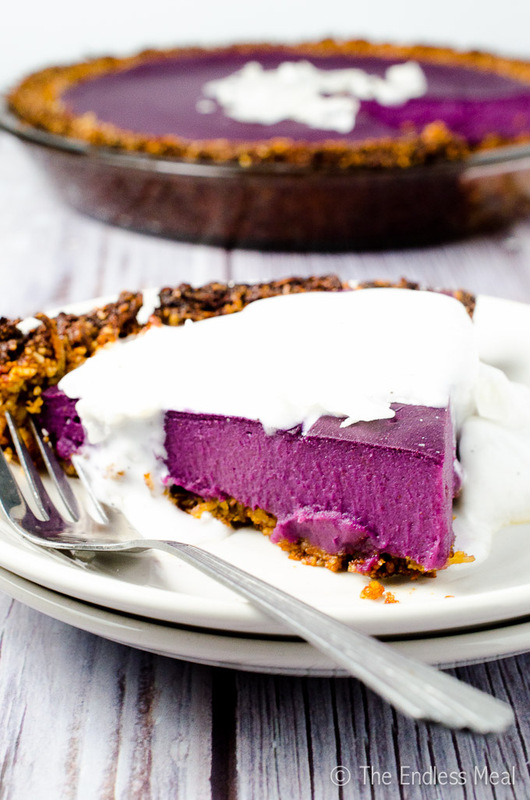 Vegan Purple Sweet Potato Pie is as delicious as it is pretty. It's made with purple yams which give it a totally natural bright purple color. It's a showstopper! The man standing behind me in line at the grocery store today asked if I had any plans for my days off. It took a solid few seconds of looking at him with scrunched eyebrows before I realized what he was talking about. Easter! Now it makes so much more sense why all the Cadbury Easter Eggs have been showing up at checkout tills all over town. 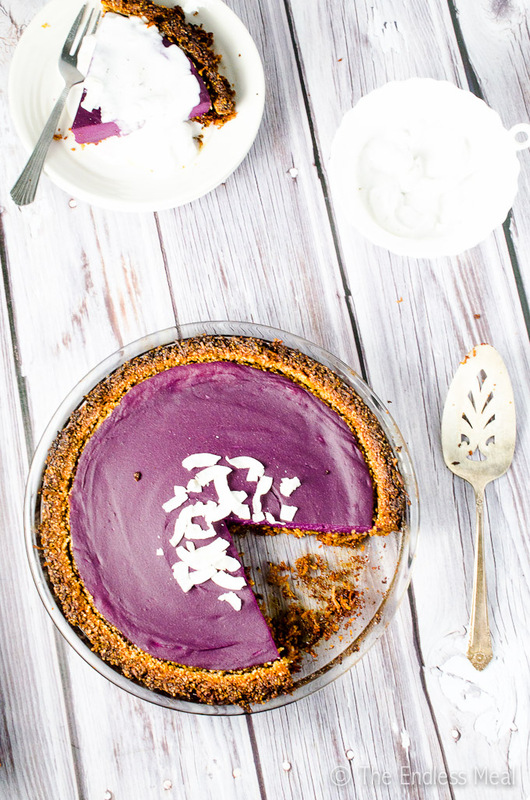 There must have been some sort of intuition thing going on since I made this purple sweet potato pie for you and it just so happens that it would be perrrrrfect with Easter dinner. I must have ESP. 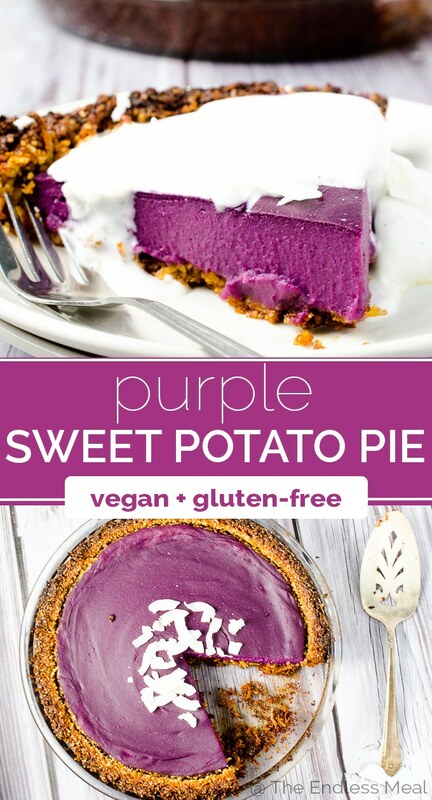 → Disclaimer ← This pretty purple sweet potato pie is actually made with a type of yam called ube yams or purple yams. I didn't think yam pie sounded as good as sweet potato pie, and since everyone always mixes the two up anyway, I thought I'd just go with it. But hey, now you know! These extra sweet yams sit on top of a crust made with nothing but healthy, good for you ingredients. I'm a girl who loves her pies with super flaky, buttery crust, but I don't miss it one bit with this coconut almond crust. And dolloped on top is a vegan whipped cream that (I swear!) I like better than the real thing. It might sound crazy, but it's true. 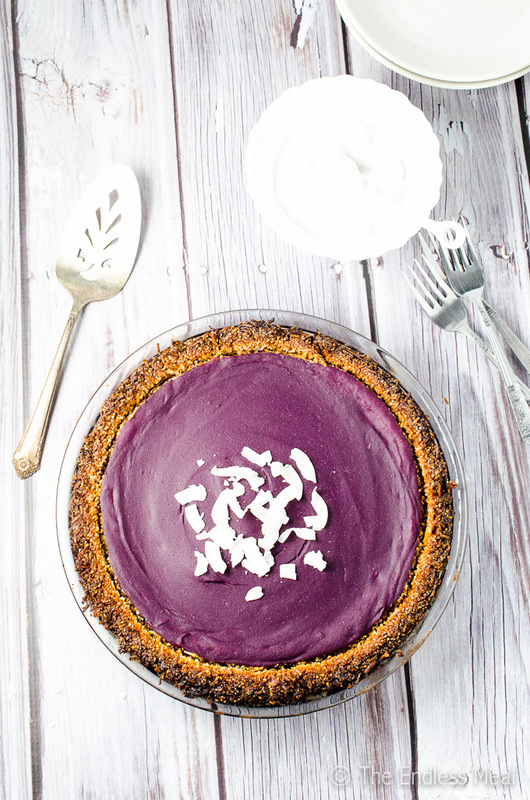 Oh ya, this purple sweet potato pie just so happens to be paleo and gluten-free too. Just sayin'. So where do you find purple ube yams? If you live in Vancouver, you head on over to Sunrise Market or T&T. If you and I don't both call this lovely city home, then your best bet is to head to the nearest Asian market. They look just like a regular yam only their skin is a dark purple color and, normally, they are skinnier. 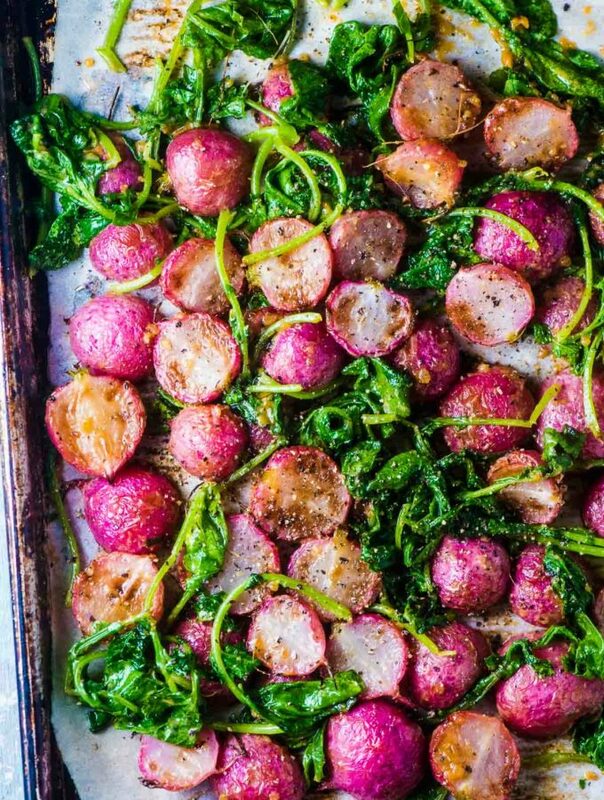 If you can't find any, you could easily substitute regular orange sweet potatoes instead. 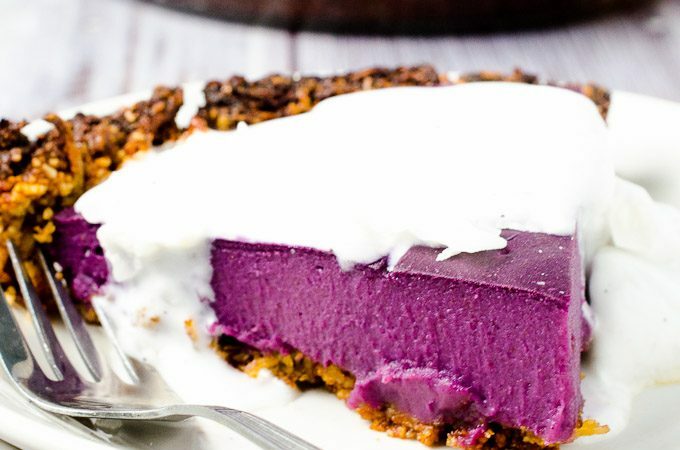 If you find some make sure to buy a few extra so you can make this purple sweet potato pie AND this Mashed Purple Yams with Sesame Brown Butter recipe. Preheat the oven to 350 degrees. Grease the bottom and sides of a 9″ pie pan with coconut oil. Mix all the crust ingredients in a large bowl then transfer them to the prepared pie pan. Wet your hands lightly to prevent the crust from sticking to them then press the crust into the pan, making sure it is even on the sides and bottom. Bake the crust in the preheated oven for 10 minutes. When you remove it from the oven, the crust will have puffed up and be light golden brown. Use the back of a spoon to gently push the crust down so there is room for the filling. Bring a medium sized pot of water to a boil. Add the purple yams and boil for 10 minutes, or until the yams can be pierced with a fork. Drain the yams then put them in a high-powered blender or food processor. Pour the pie filling into the baked pie shell and smooth out the top. Bake in the preheated oven for 45 minutes, or until the pie has set but still has some jiggle in the middle. Remove the pie from the oven and let it cool completely before serving it. Set the can of coconut milk in the fridge for at least 1 hour, but preferably overnight. You want the cream and the milk to separate, and this is easier if it is very cold. Separate the hard cream from the watery milk. Put the cream in a large bowl and add the powdered sugar. Using electric beaters, beat the cream for 2-3 minutes. It won't form stiff peaks like regular whipped cream, but it will be stiff enough to dollop. This amount of sweetness is perfect for me. Taste the pie filling before you add it to the crust and, if you'd like it a little sweeter, add some more maple syrup or some sugar. I haven’t tried making it with filo on top but it’s hard to imagine that filo would do anything other than make it even better! I’m hoping i can get a quick answer. I’m making this pie right now for Easter. I have two pounds of potatoes, but the yield is like 8 cups. Wondering if i should go with the 2lbs or the 4 cups. The crust of my pie became soggy ?. I made it yesterday night and after half an hour or so covered it with a kitchen towel and left on the counter top. In the morning when I cut the pie it was having a soggy crust. Is there something I can do about it. PS: I did try warming for 20 min at 350 degree F and it didn’t help. My guess is the crust went soggy because it wasn’t completely cool when you covered it. If there is any heat left in the pie (any pie) and it is covered the crust will go soft. I would leave it out for longer or pop it in your fridge for a little while to make sure it is completely cool before covering it. I hope that helps! I made this and was delicious… the crust didnt hold together well though….. What did i do wrong? is it really suppose to be 4 cups of the yams? My pie filing had no wiggle room and I followed direction as said perfectly, I even added a bit extra of the coconut milk, I used a culinary grade coconut milk. Is it suppose to be lose or thick in consistency? I want to try this pie out, but i am not a vegan and i don’t like coconut. Is there something i can sub. Thanks. You can definitely use this recipe as a base and experiment with a non-vegan/ coconut version. Instead of the coconut milk, you can use a couple of eggs and some milk. Also, any crust will work. If you want a more traditional pastry crust that would be good, too! 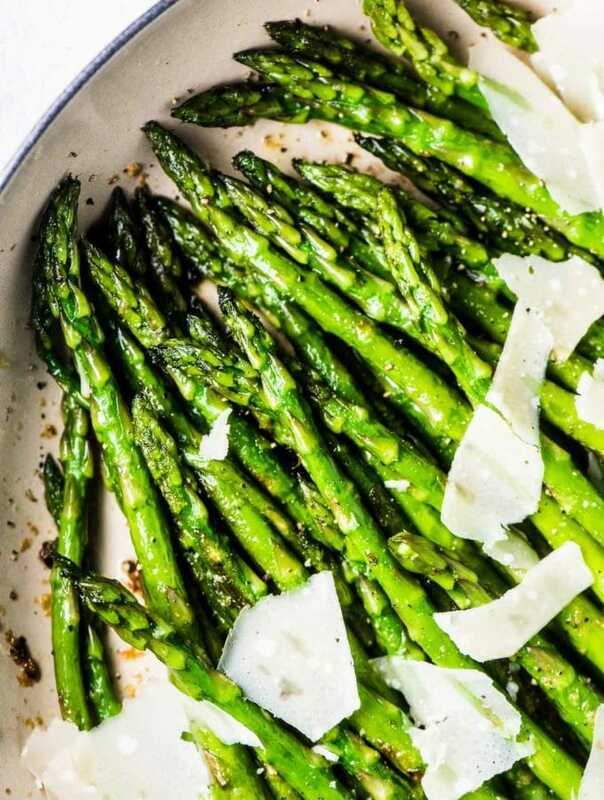 What could I use as a substitution for the almond flour? My daughter has a tree nut allergy, but I know she will be attracted to this pie by its color. 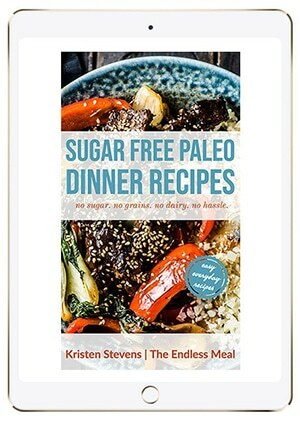 Could i sub corn starch or something else for the tapioca starch ? Do you use virgin unrefined or refined coconut oil? Honey is not vegan, so if people need this recipe to be vegan, def use the maple syrup! We are going to be in Los Angeles with vegan friends for Thanksgiving. I know you mentioned this recipe as it relates to Easter, but I think it works for any occasion! Absolutely it does! It would make a great change to the usual pumpkin pie! Would you make this the day before or the day of serving? If the day before, do you refrigerate over night? Thanks! I always leave it on my counter, sometimes for a few days. But … the fda might not approve of that. It’s really your call. I make it the day/night before. But I do not put it in the refrigerate before serving. I don’t like cold pie. But I would not recommend leaving it out uneaten for several days.